"For if the man is the head, the woman is the heart, and as he occupies the chief place in ruling, so she may and ought to claim for herself the chief place of love." A daughter of Her Majesty's Dominion of Canada, she moved from the edge of the British Empire to the heart of the Roman Empire. I am proud to call Hillary White my good friend and a fine lady. She has devoted herself to valiant Catholic journalism. Her talents are many, including her keen eye for decorating and artistry (her works of fine art are phenomenal and we hope to see more of these sketches shared on her blog). Her writing is the best combination of seriousness and good humor. After all, the world is ending so we might as well head out for a glass of sherry and enjoy a gelato. Witty and tough, this loyal daughter of the Church survived the epic Italian quake of '16. As did her fine "Made in England" bone china. To help illustrate they have the fullness of Holy Orders. 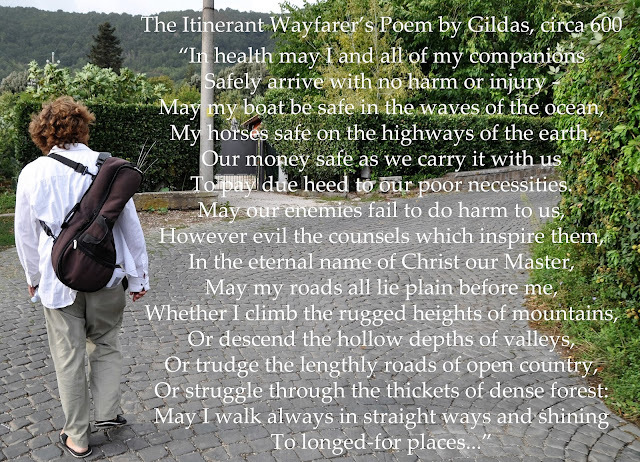 A reminder to themselves and to all others of their episcopal dignity. Photo taken in Kamloops, Canada. Thanks, Fr. Pablo! Hearty congrats to Bishop Joseph! Once a political prisoner in Communist jail cells, he is now Bishop of the Holy Roman Church. 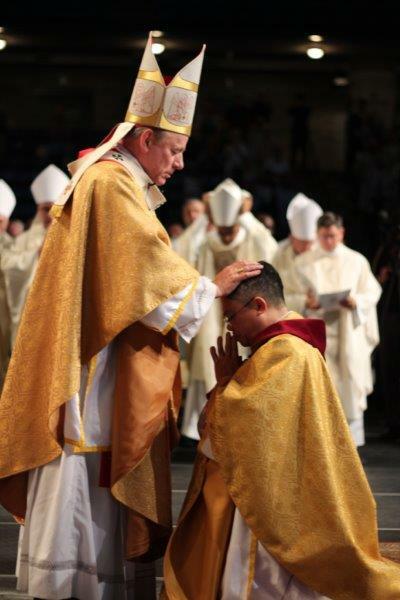 (Diocese of Kamloops, Canada). His brother and uncle are priests as well. 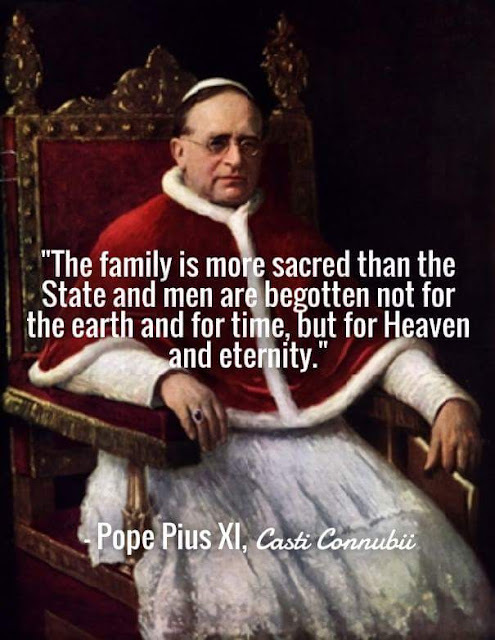 Read Pius XI -- Theology is NOT Boring! This flag and every dysfunction it stands for has become the mammon of the postmodern world. This gorgeous villino, in "Liberty" style was constructed in 1906. When I first moved to Italy I rented a flat next door. Lots of memories here. Bishop Sheen began his daily Holy Hour as a seminarian in Saint Paul, Minnesota. 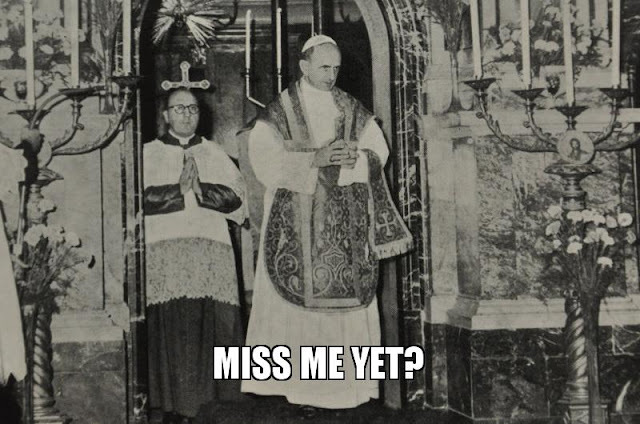 He never missed that daily hour of prayer in the presence of the Blessed Sacrament. This extra hour was in addition to Mass. If the church was locked, he sat on the front steps. When the Bishop preached missions in parishes and retreats to priests, he begged priests and seminarians to be in this habit. He also said the first half should be spent on ones knees. He wrote his sermons and books in the chapel, as did Bishop Karol of Krakow. "Outside Catholicism there is no living religious authority which speaks with the certainty of God." As a boy I remember noticing from an early age that vestments used at Mass were ugly and modern. It was the eighties. Call it a prompting from the Holy Spirit; it bothered me from the beginning. Then as an altar boy at the church of the Assumption in Saint Paul I discovered this lovely Gothic set. It changed my life forever. I had discovered vestments worthy of service in the holy of holies. By God's grace this set is still there today. I don't think it has been used in fifty years. Beauty at the service of the altar is ever old and ever new. Recently yours truly was walking through an old cemetery, saying some prayers. I noticed this - a survivor of two world wars. Bless him, Lord, and all peace makers. Lord, grant us peace. Yours truly served Mass at this 1930s altar countless times as boy at the church of the Nativity in Saint Paul, Minn. Many memories of serving Benediction here. And my First Holy Communion. May God be praised. Ordained priest at St. John Lateran on Easter Sunday in A.D. 1886. In her high destiny under God to stand before the people of the earth as a shining example of unselfish devotion to the ideals that have, under God, made us a great nation; the Christian ideal of liberty in harmonious unity, builded of respect for God's image in man and every man's right to life, liberty and happiness. For the blood in the veins of America, our heart's blood comes from the wounds of many peoples, chaliced in humanity's name upon the altar of liberty. Not because of the tremendous resources of her fields and mountains, rivers and lakes, valleys and plains, but rather because America has been and must ever continue to be, under God, the Beacon of Liberty, the Hope of the Oppressed, the Refuge of the Weak, the Pledge and the Proof that humanity can live in mutual respect based on the law of God, voiced through the conscience of man, and in mutual esteem, based on the responsibility of democratic life. Because I believe in God and God's Providence that has been over us from the earliest days of our beginnings. Believing in God, I am confident both of His merciful forgiveness of our national sins and His awareness of our national virtues. Believing in God's Providence, I am confident of our high resolve that this fair land, the visible setting of the vast, immaterial soul of the American nation, shall never lose its initial consecration to the common Fatherhood of God, so that we and our children's children shall live in peace and harmony among ourselves and with our neighbors. In this America, I believe; for this is America, I live; for this America, I and millions of others stand ready to die. "Of what little importance the individual is to some people was brought home to me one day when I asked a man why some of the white people in Africa do not seem to like the missionaries. He said: 'Because the priests teach the natives that in God's sight all men are created equal and that every man has an immortal soul to save.' If I were looking for a reason for being disliked, I would not want a more glorious one." This photo was taken 80 years ago today (18 August 1936). Moments later, the man in the photo was shot to death. In his eyes, you can see a foretaste of eternity. A peace comes upon the soul in the moment of martyrdom. Father Martín Martínez Pascual was 25 (born in 1910), and had been a priest for 14 months. He belonged to a community of priests dedicated to promoting vocations and praying for priests, and had recently been appointed as a seminary professor and spiritual director. He was on vacation at his family home when the Spanish Civil War broke out, and the Republican militia took control of the area. 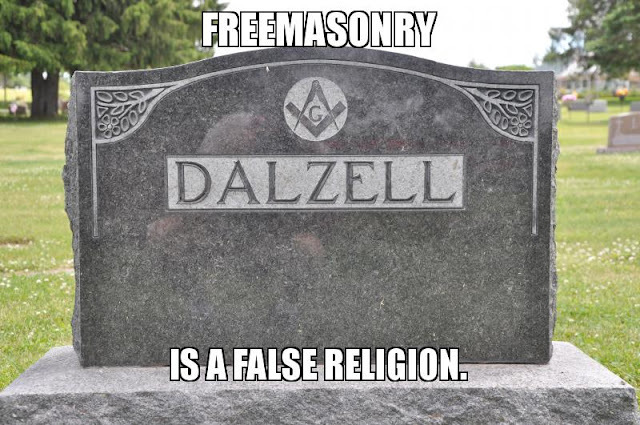 They were virulently anti-Catholic and anti-clerical and routinely rounded up priests and religious for execution. Father Martín took the Blessed Sacrament from the parish church and went into hiding on a friend's property, first in a barn and later in a cave. On the evening of 17 August, the militia seized Father Martín's father and demanded that he tell them where his son was hiding. Mr Martínez sent a message to Father Martín, telling him not to worry about him, and to get as far away as possible. Instead, Father Martín turned himself in. He was thrown into prison with other priests from the area, and spent the little time they had together giving them the Holy Eucharist for the last time. The priests were loaded on to a truck and taken to a local cemetery outside of town. The German photographer Hans Gutmann was documenting the progress of the militia, and took this photo of Father Martín. The militia told him to turn around for his execution; he responded that he wanted to face them, because he would be praying for them, that God would forgive the insane thing they were about to do. As they took aim, Father Martín's last words were, "¡Viva Cristo Rey!" ("Long live Christ the King!). 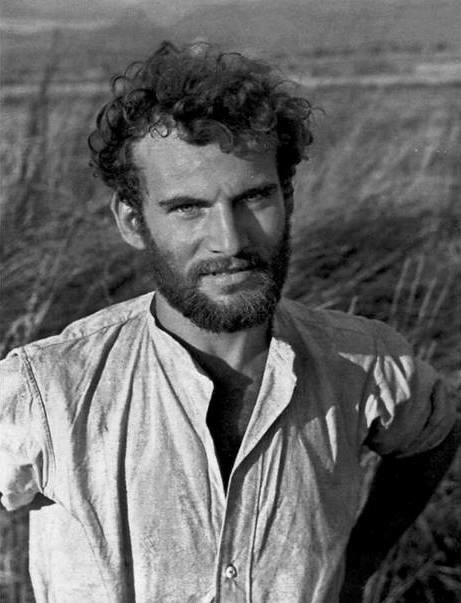 Father Martín was beatified as a martyr in 1995, and is one of more than a thousand martyrs from the Spanish Civil War beatified to date. Official reports identify a total of 6,832 clerical and religious martyrs (13 bishops; 4,172 diocesan priests and seminarians; 2,364 monks and friars; and 283 nuns). The expression on Father Martín's face --- so full of gentleness, patience and love, without a trace of anger towards his captors or fear of what was about to take place --- is a powerful witness to the working of grace and the presence of the Holy Spirit. Suppose we could maintain, amid the little trials and inconveniences of daily life, just a portion of the attitude that Father Martín had in the face of his impending death. What does he know that we need to learn? What did he see at that moment, and how can we find it? Blessed Martín Martínez Pascual, pray for us! Read of his story HERE. 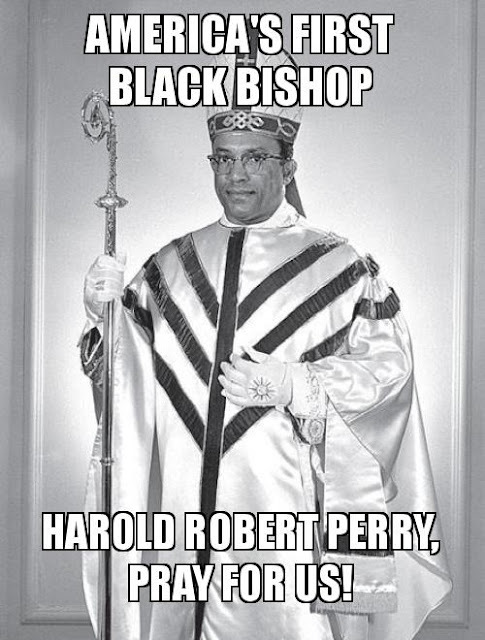 In August 1921 he was shot and killed by an anti-Catholic member of the KKK in Birmingham, Alabama. The killer walked. A sad story. The blood of martyrs is the seed of Faith. Now EWTN, located in Irondale (just a twenty minute drive from the location of the crime) brings the Faith to many millions of people across the globe. The crime occurred on the front porch of the rectory of St. Paul's, an 1890s church which is now the Cathedral. The priest is buried at Elmwood Cemetery. 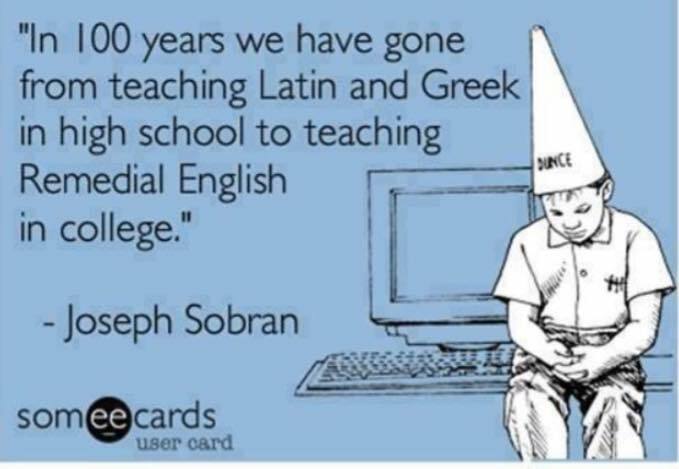 It has also been a tool of the Democratic Party for generations. Emperor Charles I of Austria: True Catholic Monarch, Statesman, Husband and Father! Happy birthday to Blessed Karl! I was privileged to know his son and to attend his Beatification in the Vatican. See the wonderful new website of the Emperor Karl League of Prayer HERE. On August 1, 1978 Papa Montini came here for a Mass in memory of his friend and mentor, Cardinal Pizzardo, who passed away in 1970. Pizzardo was the cardinal Montini had voted for in the Conclave of 1963. Take note that Montini did not cast his vote for a "liberal." Pizzardo was considered a "conservative." You see these frequently in the suburbs of Rome. Here is an example of a very poorly executed church exterior: SAMPLE. Pray for a return to Catholic sensibilities. 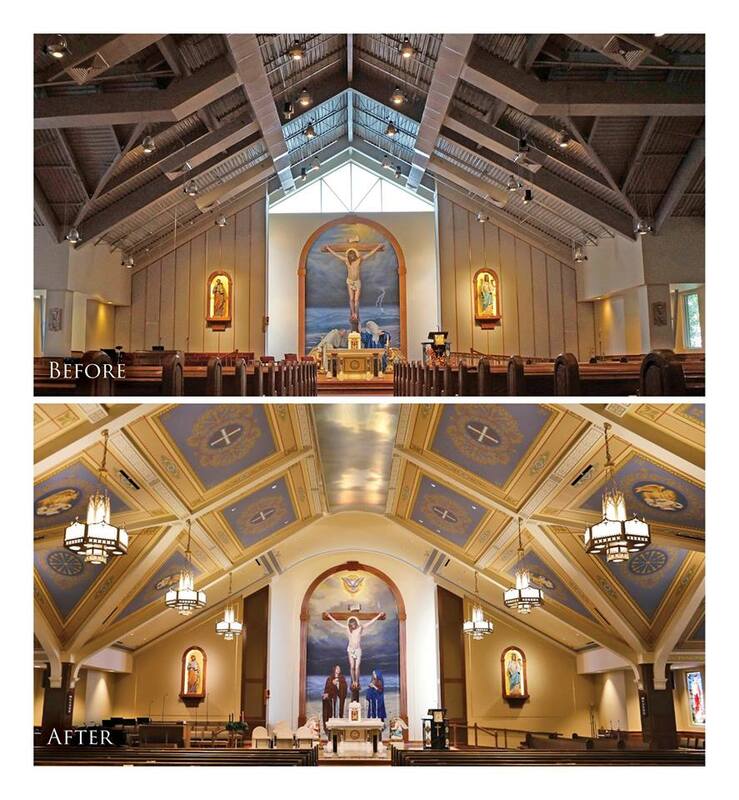 These new churches are falling way below the grade (and are no doubt highly over priced). I used to avoid going to the Palace of the Vicariate because of the brochures displayed, begging for money, depicting the abysmal new churches planned for Rome and the city environs. Italy was profoundly touched by the 1960s cultural revolution. Modern Italians are copycats. This instinct is shown most clearly in their architects who continue to copy the worst of pagan north European architecture from the past (ostensibly from the future), instead of the best of their own from the past and present. The criteria for Catholic church design must be made clear by the Rome Vicariate: Catholics are to test the validity of an architectural design by the bonum, verum, et pulchrum. Truth demands that the exterior of a church building clearly reflects the purpose for which it was constructed; beauty and goodness are achieved by following that classical style so familiar and accepted by the Church, the ages and human sensibility. 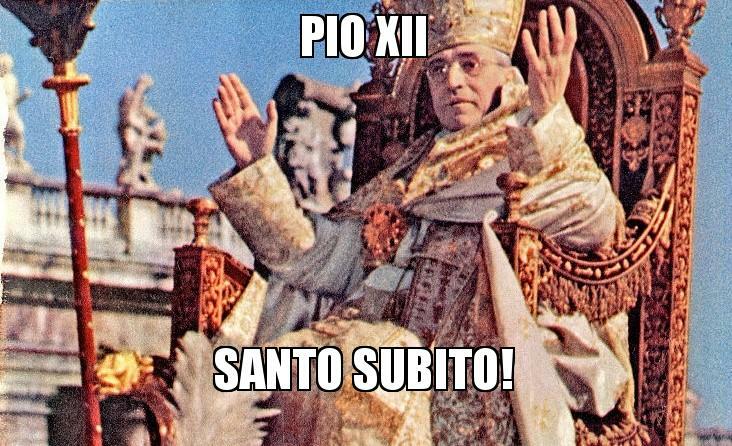 Venerable Pius XII had two immemorial titles: Angelic Shepherd and Defender of the City. Now a convent chapel, popular for weddings. One of the most beautiful properties in Rome. The old 1930s collegio of the Brothers of the Christian Schools, on Rome's Via Aurelia. A magnificent property with a massive chapel and lovely gardens. With the collapse of vocations, it has been turned into a guest house for pilgrims, like so many other religious houses in Rome. Meet an old friend, Mother Vincenza Minet. She left her nursing order in the 1970s to start a new order, which now has 160 nuns in 23 houses. She built a convent in the hills overlooking the sea in the resort town of Santa Marinella. They are the Ancelle della Visitazione. God bless this wonderful new religious order of nursing nuns! Two of my favorite. Having lunch with them in a convent outside Rome overlooking the sea was a real highlight of my adventures in Italy. These sweet nuns have peace of soul. Madre Vincenza e Suor Margherita. Cardinal Pizzardo commissioned this 1950s mural, to honor Papa Pacelli, who consecrated him bishop in 1930. Remembered in the Alban Hills, in the shadow of Castel Gandolfo, in the foothills near Rome. Read of his inspiring life HERE. 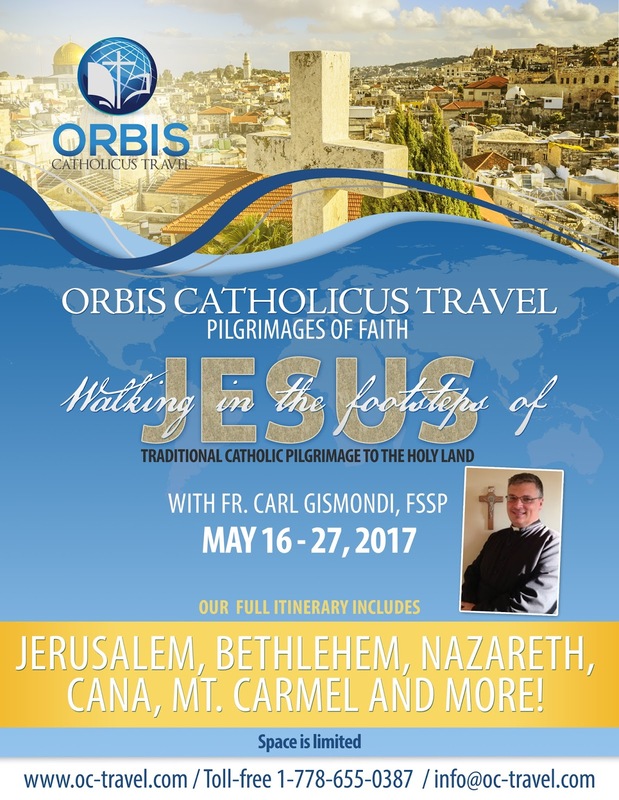 A biblical and liturgical journey -- the faith experience of a lifetime. 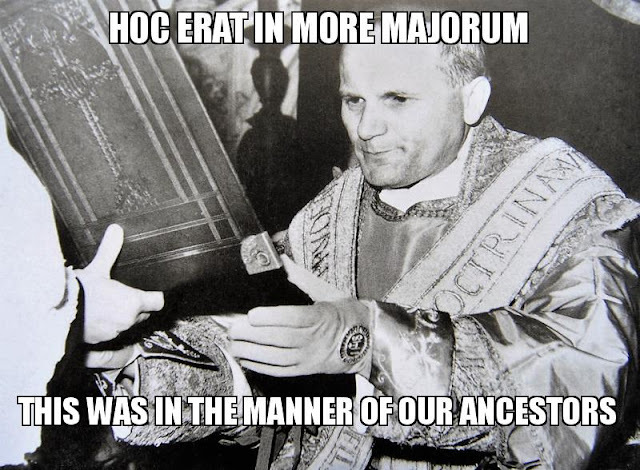 Aetero Deo Vivo et Vero: Et in Honorem Sanctae Agnetis! Poster advertising the laying of the cornerstone in 1909 -- Church of Saint Agnes in Saint Paul. Many see him in a new light after the present papacy. 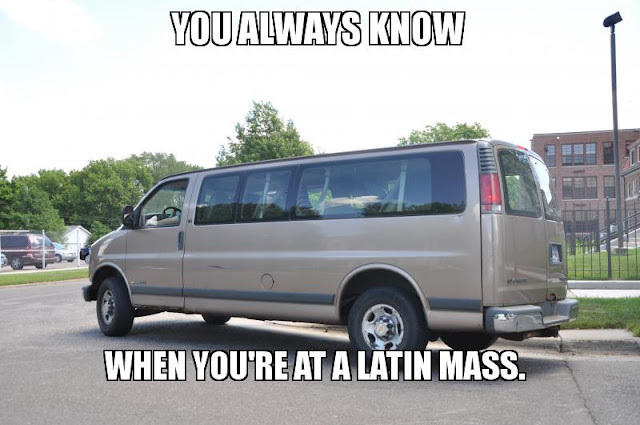 The link between homeschooling families and the Traditional Mass in Latin is generating a quiet revolution across North America. For 70 years my grandfather was the choir director and organist at the church of the Assumption in downtown Saint Paul, Minn. He began this role on Christmas Eve, 1926. These are images of my childhood: walking up the stairs with him, watching him arrange the music for the day, witnessing him sing his heart out while playing the organ. My first church experience was in the choir loft, until I graduated to the sanctuary in 1988. This was our ancestral church, along with a neighboring German church, St. Agnes. There were other German churches, too, such as St. Boniface and St. Bernard's. But we were loyal to ours. Grandpa was in the choir loft most of his life. 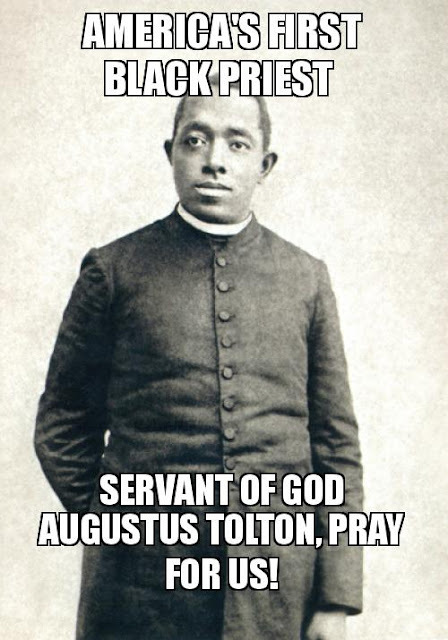 He played two Masses each Sunday, Stations of the Cross during Lent, and even weekday Masses. He was happiest in the choir loft. His place was at the organ. Many times he told me: "Your reward will be in heaven." Gramps once complained while we were walking from church: "Gregorian chant was supposedly the most perfect kind of music, then we were suddenly told to stop." As an organist he was a gifted musician. He even wrote several of his own Masses, in Latin, with the Ordinary done beautifully. The present organ he played dates from 1935 -- from the Kimball-Welte Organ Company of Chicago. It had 11 ranks of pipes. In 2004, sadly, the parish restored and "renovated" the organ, adding contemporary age technology which meant 10 more ranks of pipes and electronic enhancements. 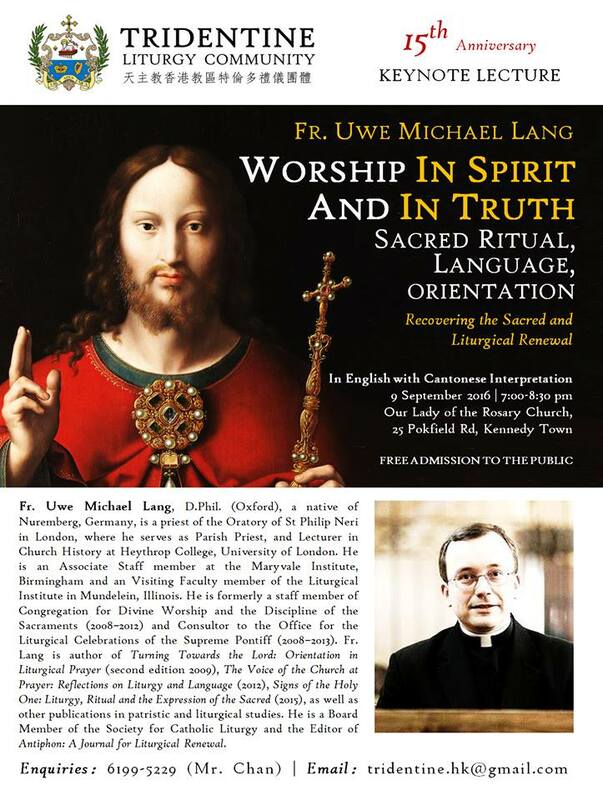 The resulting tone of the organ does not fit the parish’s rich German history or the sacred liturgy. It is too loud! That is a big problem in Catholic liturgies today in America. The organs are too loud. The choir cannot be heard. Even babies are sometimes frightened. At Mass at the Cathedral of St. Paul the organ began to blast the Sanctus and kids in the church began to scream. When will pastors wake up? Some parishes have too much money on their hands. Note to priests: your choir does not need to sing into microphones. And your organ does not need to be destroyed to be louder. 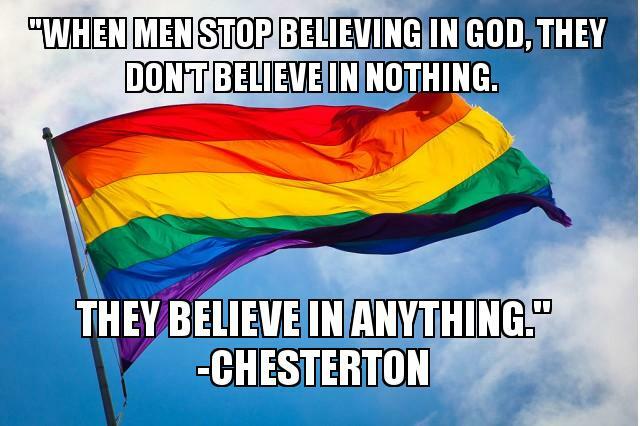 And it's not a good enough excuse that you want your church to be able to host "concerts." The Church needs organists! I was delighted to hear two of Grandpa's great-granddaughters aspire to play the organ at church. Let's hope they persevere -- pray for this intention. Many of our best organists are Anglican. Let us hope the Church will produce a new generation of able choir masters to receive what has been handed on to them. SAVE Église Sainte-Rita de Paris! Martyr's Last Words: "Begone, Satan!"